Specific problems need specific solutions. We provide scalable solutions for any and all IT issues that you may have, from small projects to on-going IT management. We can help, from the initial design phase to launch and afterward. CG Technologies works as an extension of your team to ensure your solutions are right for your business. We offer 24- hour support to assist in the continued success of your IT systems. Contact us today to find out more about our managed IT support services or click here to book your free consultaion. You can focus 100% on the business, not technology. You get 24/7 worry-free computer systems and network support. 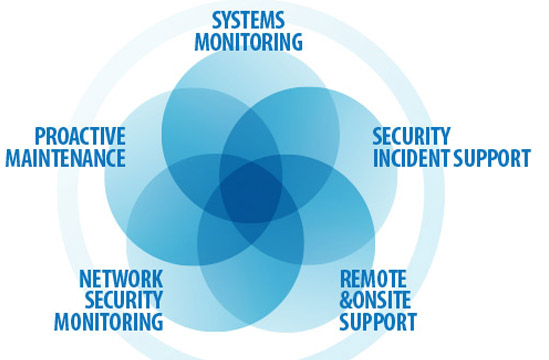 Your data, systems, and network are more secure. The information on which your business depends is safe.